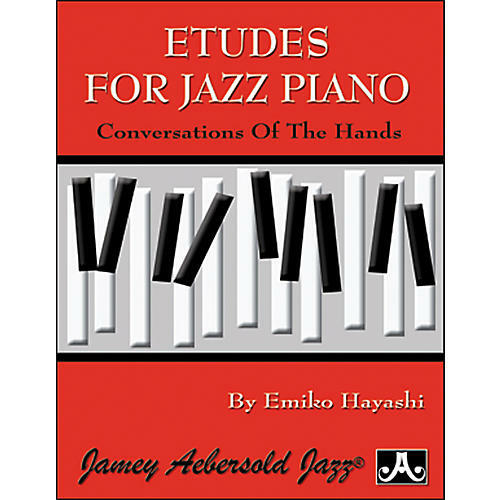 Etudes for Jazz Piano by Emiko Hayashi is a must-have for all pianists seeking a creative approach to developing left and right hand coordination. The exercises and solos (based on the chord changes to well-known standards) are rhythmic, colorful, and fun to play. The book's chapters cover six specific areas of left hand development and left/right hand integration, with practical application from standard jazz tunes in the form of musical solo piano pieces. Etudes for Jazz Piano from Jamey Aebersold will definitely be an essential part of your practice routine. Besides improving your hand coordination, Hayashi's book challenges you to think differently about your technique. All of the concepts are easily applicable to the real world. Highly endorsed! Spiral-bound, so it opens easily and lays flat on your keyboard music stand.